Last year we migrated from our old merit badge system to a new one. The old system was based on software that has not been supported in five years and is causing some conflicts on the site. With significant changes being made to the current WordPress code base, it was necessary to implement a new merit badge system so that we wouldn’t run into a situation where that system breaks completely with no way to recover from it. 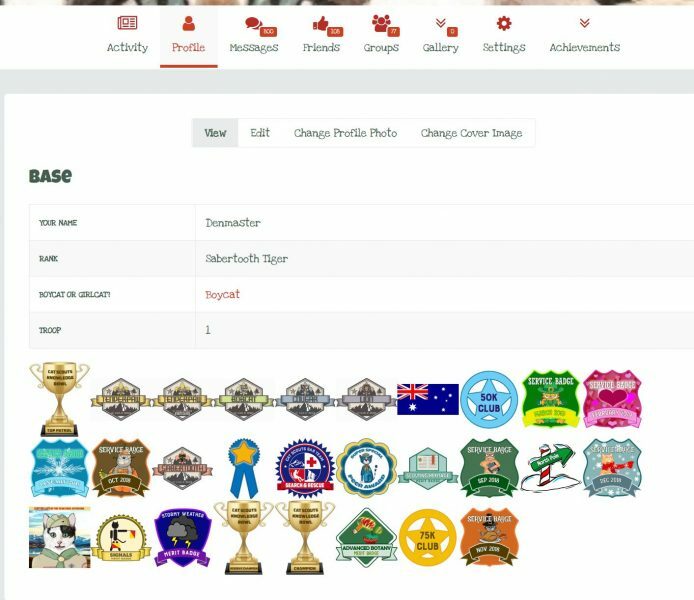 Last year we hired an engineer to integrate a custom merit badge application we’d created into the Cat Scouts website. It was a very expensive (and time consuming) mistake. Although it technically worked, the solution he provided was a usability nightmare. So after testing several systems, we took the most popular badge plugin for WordPress–mycred–and integrated it into the site. Mycred awards points for your activity on the site–logins, comments, photo uploads, video watches, etc. It also enables an admin to award badges and points manually. However, it cannot integrate with the previous merit badge system. That’s why, at the end of last year, we took each active scout’s point totals from the old badge system and added it to their points in the new system. The points you see on your dashboard are the total of current and old points. Even if you earn additional points in the old system, with the exception of service badges, those points will not carry over to the new system. Your current point tally always appears top and center on your custom dashboard, as well as on the leaderboard displayed at the bottom of the left sidebar on most pages. 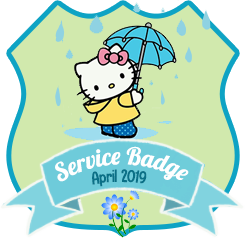 Service badges are the exception. You will still insert a redemption code on completion of each month’s service project. This provides the admin with a list of everyone who has completed the service project for a given month. 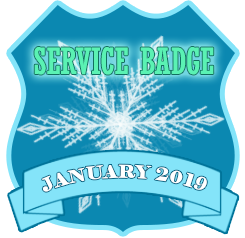 Shortly after the end of each month, we manually add the badge to the new system for each scout who completed the service project. Going forward, a little more work will be required to earn merit badges, and they will be more in line with traditional scouting badges. 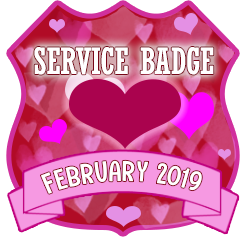 We will continue to award trip badges for everyone who participates in the trips (so long as it wasn’t a flyby where they only posted one or two comments). If you did not get a badge for the North Pole trip or the Australia trip, please leave a message in the comments. Trip badges do not earn additional points because you earned points commensurate with your pawticipation in the trip. You will eventually be able to redeem the points you accumulate for merchandise in the Cat Scouts Store. We’re still working the kinks out of that… We set it up in the Cat Scouts store so that you could make a purchase with $$$ or points, but yet another software coding conflict caused some fatal login problems. If we are unable to resolve that issue, we will conjure up a manual process for a limited number of items. When you “purchase” an item with points, those points will be deducted from your running total. My mom is getting a new hip in May she said her and I can look everything over while she is recovering. Please give me the names of the organizers and I’ll add them. 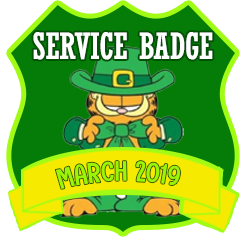 The only codes you will be redeeming are the service badges (which are then manually copied over to the new system. Thanks for explaining this and going through the trouble to update the site! And I know I’ve claimed all the Birthday badges, except ma ybeMarch 2019. But none after September 2018 are showing. “maybe March” not “ma ybeMarch” — my typist tripped on her fingers. We are not doing birthday badges. at this time. Pawticipants earn points while attending the parties. I have 0 points for the North Pole Badge. I don’t show the Australia Badge, but I pawticipated. The trip badges do not come with points. You earn points as you pawticipate in the trips…..those who participate the most get the most points. WE ARE NOT AWARDING ADDITIONAL POINTS FOR TRIPS. You earn those points as you interact on the site during the trip. I show that you have the Aussie trip badge already. I have added your north pole badge. Denmaster could you please add the following to missing my missing achievements that are listed below. I also did not receive credit for my CSU classes for January and February. Thanks. I as Anya received zero points for the North Pole trip, and I do not show anything for the trip to Australia. Also, I am not finding that I received credit for CSU glass in January and February. I show that you were awarded the Botany Merit badge and points in January. The badge is showing on your dashboard. Trip badges no longer come with points–the points are awarded during the event, so that the most active participants earn the most points. We are no longer offering badges for attendance at birthday parties. Attendees earn points commensurate with their participation. Denmaster I received zero points for the North Pole Trip. I do not see that I have the Australian trip on my achievement though I know I went on that trip. Also, we are missing birthday parties: October, November, December, January, February, and March. There might be one of those months that we had no party because there were no birthdays I am not remembering. Thanks for all you do for keeping the scouts up and running. Hi, Denmaster, I attended the North Pole trip but have 0 karma points. I assume that our level of pawticipation is reflected in points on the R.H. column. I also attended the Australia trip, but did not get a badge for pawticipating. Thanks very much for all your hard work on so many fronts for all of us! I’m looking at your profile, and the Aussie Flag badge in already on it next to your tour leader award. Thanks Denmaster. We attended the North Pole trip, but my achievement list has 0 points for participating. Also, I and several other Powerful Paws scouts organized the Australia trip, along with guest host Pete Hartley. We have not seen how to claim event organizer or trip attendance points.